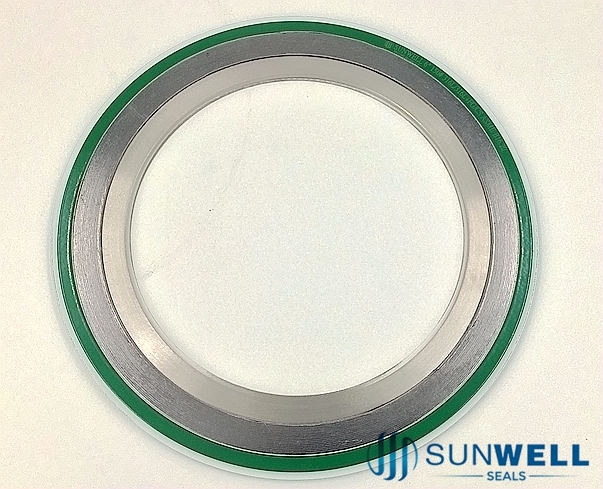 The kammprofile surface inner ring with the expanded PTFE covering. 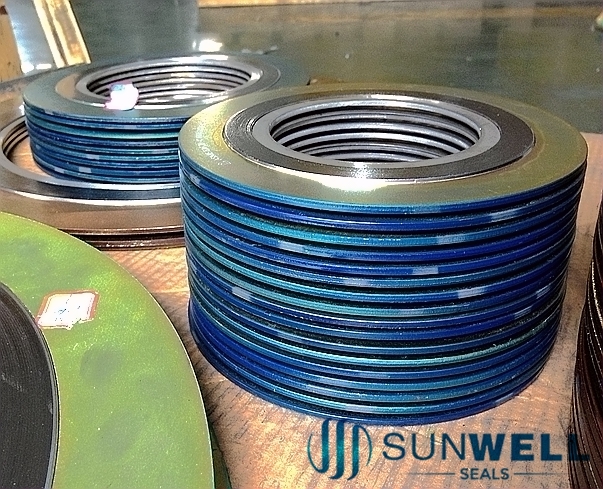 The sealing performance of spiral wound gasket is improved effectively by imporving the inner ring structure. 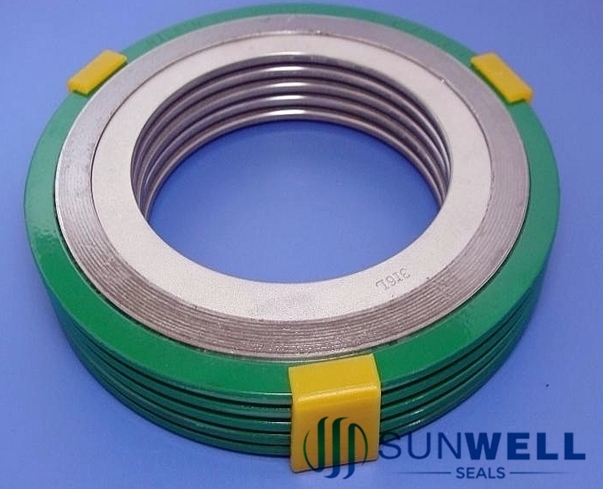 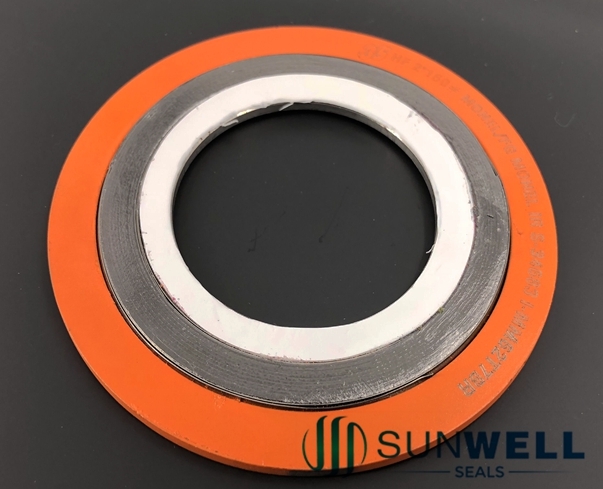 SUNWELL KAMMPROSPIRAL , PTFE cover, Profiled Inner Ring, Metal Winding, Filler Material, Guide Ring, Standard.